We are very happy that a lucky fan was able to add Apocalypse to their army in our last HeroClix giveaway. 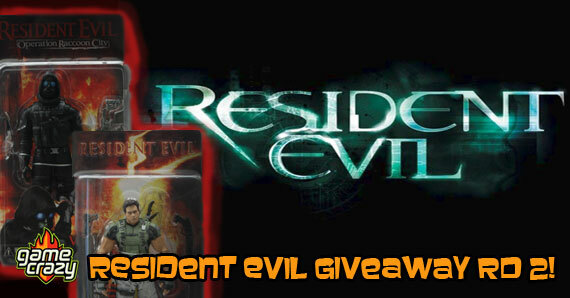 And now it’s time to offer up another phenomenal prize that you’re sure to love. In just a few weeks we will be blessed with the new BioShock Infinite game. 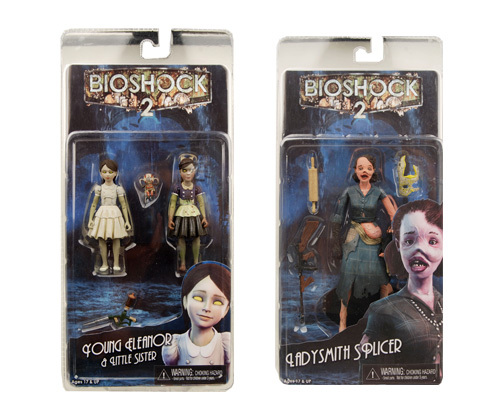 To help ease the wait, we’re giving away incredible BioShock 2 action figures from NECA. 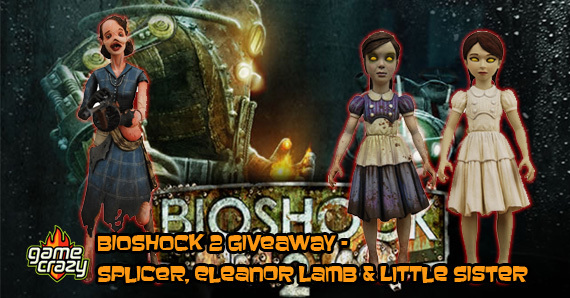 Our prize pack contains a Ladysmith Splicer, and a Young Eleanor with Little Sister combo pack! In BioShock 2, the underwater city of Rapture is the site of an insidious experiment in mind control. 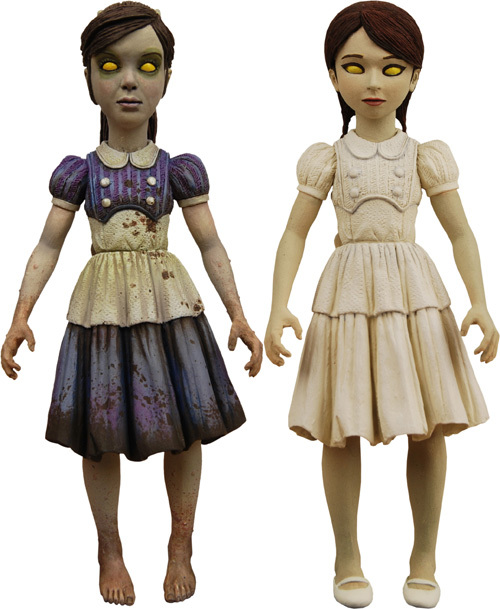 This special set of figures includes Young Eleanor Lamb and a Little Sister. The figures stand 3.75” high (7″ scale) and are fully articulated. Also included are a Big Daddy doll and ADAM syringe accessories. Ages 17+. This 7″ scale Ladysmith Splicer action figure is an exceedingly detailed representation of its video game counterpart. Once this socialite was the talk of the town, but as the city deteriorated, so did she, using more and more ADAM to survive. Features loads of articulation, and comes with removable mask, tommy gun, and rolling pin accessories, plus a display base. Ages 17+. If you want to win these fantastic prizes you just need to answer the trivia question. 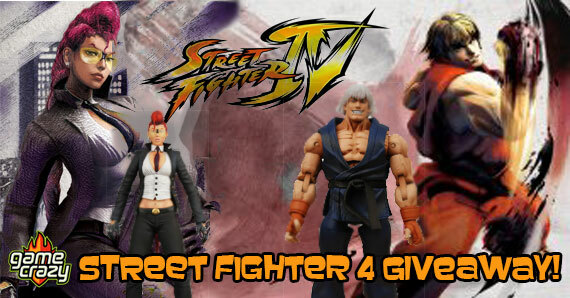 If you have Facebook and Twitter you can gain more entries into this amazing giveaway. Remember, you can enter every day! Let your voice be heard! We want to know what you’d like to see in our future giveaways! 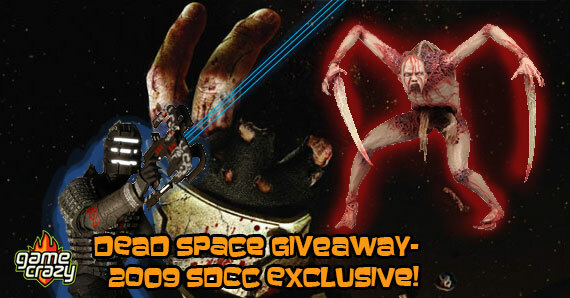 This entry was posted in Contests & Giveaways, The GC Blog and tagged bioshock, bioshock 2, bioshock 2 giveaway, neca by summerm. Bookmark the permalink.